Sequoia Tax Relief is a veteran-owned, tax resolution firm specializing in asset protection and resolving tax matters. With over 125 years of collective experience resolving tax matters for thousands of clients in all 50 states, our Enrolled Agent tax teams continue to resolve federal, and state issues for businesses and individuals nationwide. Honesty is non-negotiable. We challenge every employee to focus on doing the right thing rather than taking an easier, faster shortcut; especially in the absence of supervision. This is simply the Sequoia way. Fundamental to every interaction we have with our valued clients and our valued employees, is to simply treat others as we wish to be treated. This is simply the Sequoia way. With great intention, Sequoia Tax Relief is committed to a standard of excellence that benefits our mutual interests. With our exclusive proprietary service guarantees, Sequoia Tax Relief is not only safeguarding your long-term financial freedom, we are also securing our industry-leading reputation for decades to come. Its just the Sequoia Way! "Knowledgeable, quick, reliable and HONEST!!!" - M.N. "The professionals at Sequoia Tax Consultants were courteous, responsive, professional and diligent in their efforts. Their approach to my case was with my objective in mind and they were able to reconcile my tax issues. I highly recommend this group for your outstanding tax debts and issues. They went above and beyond in settling my case." - C.V.
"Many thanks to Adam with Sequoia for his prompt and efficient handling of our family's issue. He responded to our phone calls and emails right away and he got the answers we needed from the IRS almost immediately. We are very grateful for his experience and expertise. Thank you!" - K.K. "My husband and I have been working with Amanda for the past year, and she always provides exemplary service. She possesses a wealth of knowledge surrounding tax relief services and she's extremely responsive. We love working with her!" - Lauren C.
"They are a very good company and they do get result for u and they even work out a payment plan for your fee to fit your budget..I was very satisfied with my service." - Frankie P.
"I have been very pleased with this company. They have settled all of our problems. They are quick in returning calls and explain everything to you. I would recommend them with high regard." - Linda B. "If I’m not seeing that letter with my own two eyes, I would not believe it. Not only did you save my honeymoon but you probably saved my marriage to her which hasn’t even occurred yet. I’m truly impressed with the speed and accurate manner which you handle this delicate situation for me. Sequoia is worth every nickel. Nice going and thank you for making me trust you and The Sequoia Team, You guys are awesome!" - Joel P.
"Overall a very positive experience. Company members were very helpful and responsive. They did a good job of keeping us informed of the status of the case we were working on." 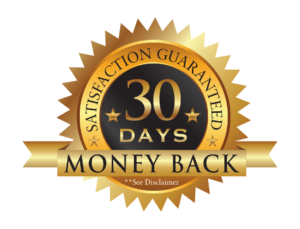 "I am 100% happy with the services received. Sequoia had all errors and liens removed from my company records and was able to actually recover nearly $4K in cost that was returned to me in a check...I have been trying for months to get my issues fixed and it has been done for me in less than a month's time with this service...I highly recommend it and will use them again should a reason arise." -R.M. "After a failing company, fixing all of my tax problems was very daunting. I was dealing with multiple States, a City and the IRS. Sequoia has been there every step of the way. Anytime something pops up out of the blue all I have to do is call them and they handle it. Tax issues and dealing with the government can be very stressful. They have taken some of that stress away. Every time I get on the phone with April ******* I fell better, and I know Sequoia is doing everything they can to help. I would definitely recommend calling them for their services." - W.L. “Don’t let what happened to me happen to you! Unfortunately I was one of the “typical” business owners that didn’t think that my tax issues would catch up to me. Sequoia Tax Relief had reached out to me multiple times to bring me on board so that they could protect my business, my bank accounts and my assets but I never took their calls. Then the inevitable happened, a Revenue Officer showed up at my place of business and began intimidating me. Right after this nightmare I finally signed up with Sequoia Tax Relief and I couldn’t be more impressed with how they were able to address my specific case. Don’t be just another victim to the IRS. Let the entire Sequoia Tax Relief team get you the results you deserve.” - S.O. "The Sequoia Tax Relief team is amazing. They have been extremely helpful in navigating this stressful and difficult situation. They have been diligent and helpful in offering advice on how to encourage the IRS to approve an affordable monthly payment. I am confident in the selection we made to go with the Sequoia Team as they operate with skill, excellence and honesty; these are three priceless attributes of a company I am grateful to have on our side. I look forward to our continued relationship as we see this through to resolution. Thank you Sequoia for making this process as smooth as possible!" - Marisa B. As a leader in our competitive industry, Sequoia Tax Relief works diligently to build upon our reputation which begins with our first interaction and is earned along the way. The National Association of Enrolled Agents (NAEA) is an organization of Enrolled Agents (EAs) in the United States. The NAEA was founded in 1972, and currently claims a membership of 11,000 EAs. While it presents itself publicly as an advocate of taxpayer rights, its primary functions are educating tax professionals in best practices for representing taxpayers to the Internal Revenue Service, and protecting the interests of the profession, and expanding the role of enrolled agents in both the public and private sectors. The National Association of Tax Professionals (NATP) believes that all taxpayers should be supported by caring and well-educated tax professionals. The NATP provides the resources, connections and knowledge to properly prepare taxpayer’s returns, advise on tax matters and strategies to minimize tax liabilities. The Colorado Society of Enrolled Agents (CoSEA) is a professional membership organization dedicated to representing, promoting and enhancing the Enrolled Agent profession. Enrolled Agents are equipped to handle the most complex tax returns for individuals, partnerships, corporations and LLCs, and are nationally enrolled to represent taxpayers in all 50 states and before all administrative levels of the Internal Revenue Service.